Minimalism can look absolutely breathtaking when it’s done right, but unfortunately it’s a style that too often proves itself to be incompatible with the daily realities involved in, well, just living life. If you have kids, you can forget about keeping your living room beautifully bare – unless you manage to be one of the few parents who is successfully strict about having toys in specific rooms only. Even if your household only consists of adults, all it takes to throw the whole look off is a misplaced magazine or two. 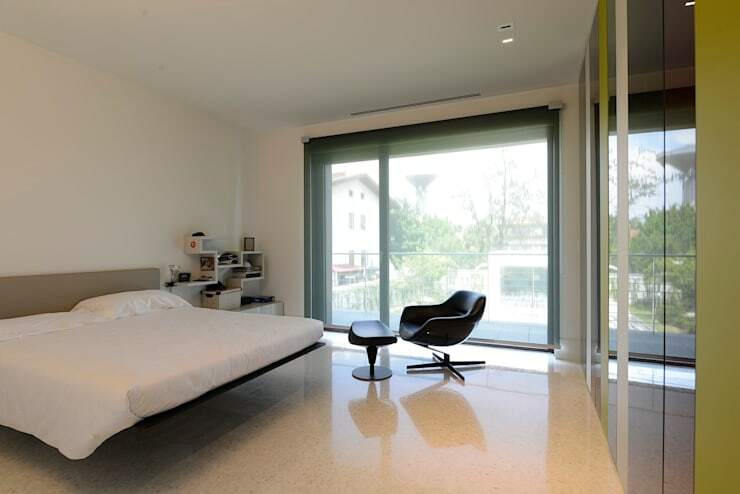 However, the bedroom is one room where living with minimalism is actually not that difficult to achieve. That’s because it’s very easy to have a functional, comfortable bedroom that contains only a minimum of objects – which is less true of a living room or kitchen. So long as you have a nice comfy bed and somewhere to put your clothes, even a relatively stripped-back space can make for a completely practical bedroom. Here are a few examples of bedrooms whose designers have successfully achieved style through simplicity. As this room shows, black and white – and maybe a little grey – are all you need when it comes to bedroom decor. 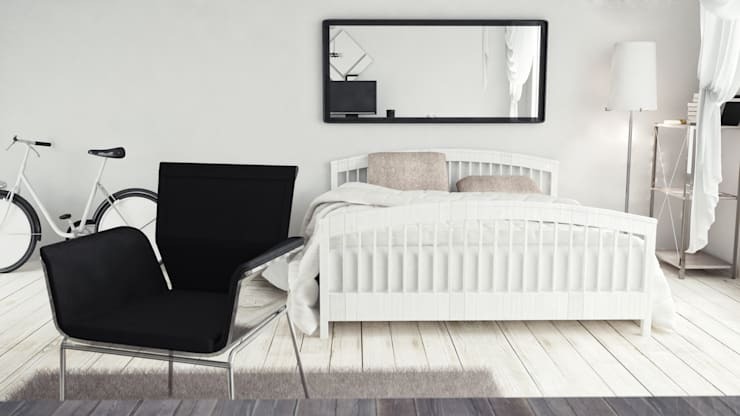 Using white exclusively is great for some rooms, but if you don’t want to make as bold a statement as that – or if you’re not ready for quite that level of brightness first thing in the morning every day – using black accents and furniture is a good way to reduce the impact of the minimalist look a little bit. Also worth commenting on here is the design of the bed, which is classic in its shape but is rendered utterly contemporary by the simple decision to make it white instead of allowing the original colour of the wood to be seen. Minimalist decor is sometimes misconceived to be synonymous with all-white decor, but that isn't necessarily the case at all. Many minimalist designers work with a wide range of colours. Minimalism is about the simplicity of the silhouette, about reducing an object to its essentials while retaining elegance in its design. 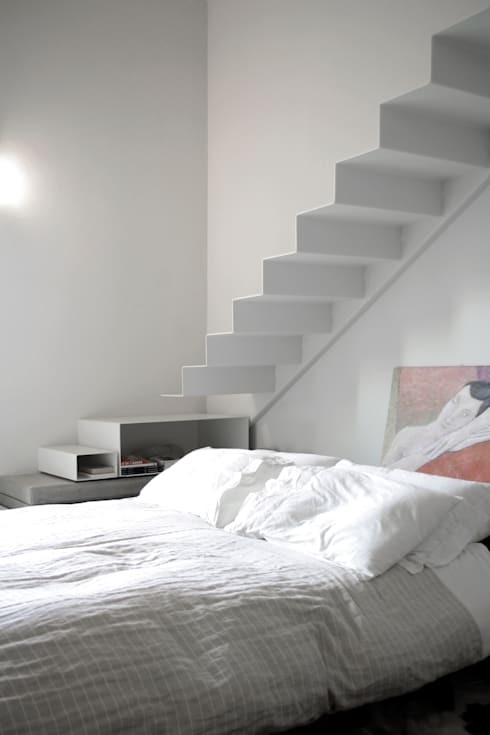 The strong, but unadorned, outline of this bed and the strong contrasts presented by the colours used make this photo a good example of minimalism in action. This room actually has a lot going on in it, and quite a few details to draw the eye. And yet due to the reliance on the colour whit the overall feel is still a minimalist one. As this picture shows, many of the features in this room don’t fit the minimalist aesthetic, yet still work wonderfully in the context of the room as a whole. Or at least the appearance of it is, thanks to this cleverly designed bed with hidden legs. This room is also a good example of how bedroom furniture can be kept to an absolute minimum using built-in wardrobes. If you look closely, you’ll see that this low bed is being propped up by a subtle storage unit. The structured plainness of the chair is a great complement, too. Are you a fan of minimalism? 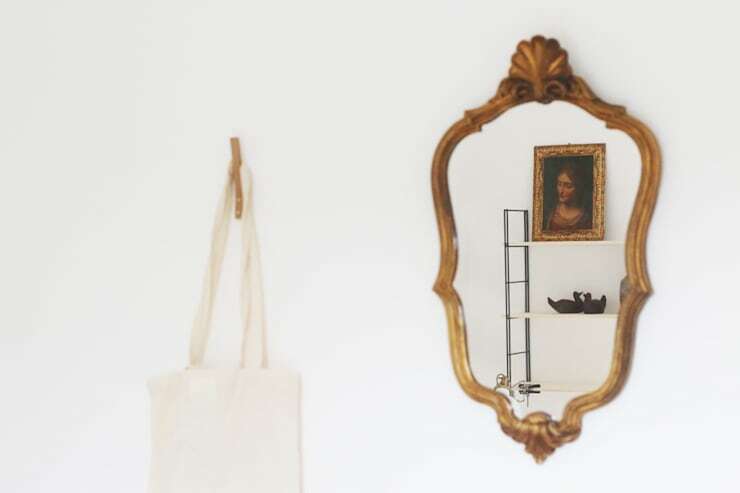 Is less always more in your view, or is there a time and a place for a little clutter?